I was working to get certs for the vsphere web client. Needless to say, I had worked w/ JKS (Java Keystore) before so I figured the process was the same for PFX (PKCS12 keystore) files, but I was dead wrong. I'd highly recommend looking into the VMware SSL Certificate Automation Tool. What follows is mainly a learning exercise for me. For starters, if you have a mac, good for you, cause openssl is likely already installed and accessible via terminal which makes things much easier from the get go. If you run Windows, download the windows binaries and install. If you go to the openssl.org site like listed in VMware's docs as a Windows admin, lord help you. When you install the openssl windows binaries w/ all defaults selected, openssl installs on C:\OpenSSL-Win32\bin. Open a command prompt to that directory, then you can pretty much follow the instructions from VMware. To read more about my trials and tribulations, click the link to continue below. You cannot import the signed cert into the PFX because the PFX doesn't have a notion of trust. You're likely going to get an error stating: "keytool error: java.lang.Exception: Failed to establish chain from reply" If you try to import your root CA, your likely to get the following error: "keytool error: java.security.KeyStoreException: TrustedCertEntry not supported"
So you'll need to use openssl to recreate the PFX file using the RSA key (aka private key) created to generate the CSR. To get that key you can use openssl. All cmd lines assume you copied files (rui.key | rui.pfx | rui.crt) to your working directory, otherwise, you'll need to provide a full path to them. If you created a csr from rui.pfx using keytool, this command should return two keys. Now assuming you received your signed cert already, you are now ready to create a new pfx keystore. testpassword is recommended from vmware as changing it seems to introduce some stability problems. This should output a usable pfx file now. Restart the "vSphere Web Client Service"
At this point, I'm assuming you already installed OpenSSL, if not do so. This generates a CSR w/ your existing private key. Recommended for existing deployments. This generates a CSR w/ a new private key. Fine for new deployments. add "-config openssl.cfg" w/o quotes to the above command line if working from Windows. Mac and I believe Linux will reference /usr/local/ssl/openssl.cnf. Or you can make your own .cnf file w/ all your cert request fields pre-populated. It might even be a good idea to make one per cert you plan on requesting. Here is a good KB from VMware on what to copy and paste into that cnf file. A 'wizard' will prompt you for various bits of information. The most important one is the common name. This is where you enter your server's name. The name that you want to be 'certified'. Submit your generated CSR to your CA (Certificate Authority) of your choice. Look familiar? It should if you read above. Now you have all 3 files needed to replace the self-signed certs for the web client. These same steps can be applied to vCenter as well. 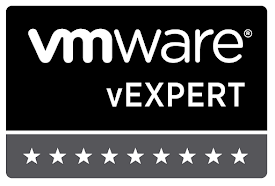 I'd recommend viewing any updated VMware documentation before going through these steps, but these should prove helpful (I hope) to Windows/Operationally focused peoples.